At the end of 2017 into early 2018 BAM delved into the tastebuds of students, seeking unique insight into their preferences and buying habits. What makes students choose to shop at a supermarket, is it cost or inconvenience? How often do students shop at a supermarket and how much do they spend per visit? What are student’s favourite restaurants? Is Nando’s still dominating the market? How can restaurants entice more students? How often do students order takeaways and how much do they spend? Does cravings decide what takeaway a student has or are special offers or free delivery key influences? How often do students eat on the go and why? Understanding your audience and their motivations to buy is key. What do they want from brands, how do they want to hear from brands and what captures their attention? To receive the full Students and Food Survey Report of all our findings, please fill in your details below. 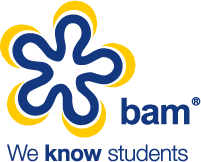 If you would like to find out more about how our team can help you analyse and maximise the student market, please get in touch. Please enter the information below to receive this report via email.